Guy-Uriel E. Charles teaches and writes about election law, race and law, constitutional law, and civil procedure. He is the founding director of the Duke Law Center on Law, Race and Politics. 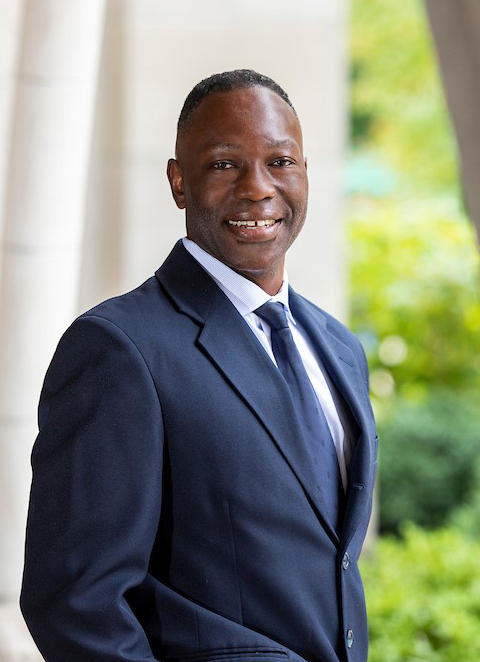 He has published articles in Constitutional Commentary, The Michigan Law Review, The Michigan Journal of Race and Law, The Georgetown Law Journal, The Journal of Politics, The California Law Review, The North Carolina Law Review, and others. He is co-author of ELECTION LAW IN THE AMERICAN POLITICAL SYSTEM (with James Gardner) and RACIAL JUSTICE AND LAW: CASES AND MATERIALS (with Ralph Richard Banks, Kim Forde-Mazrui and Cristina Rodriguez). He is co-editor of THE NEW BLACK: WHAT HAS CHANGED AND WHAT HAS NOT WITH RACE IN AMERICA (with Kenneth Mack) and RACE, REFORM, AND REGULATION OF THE ELECTORAL PROCESS: RECURRING PUZZLES IN AMERICAN DEMOCRACY (with Heather Gerken and Michael Kang). He is currently working on a book on voting rights and the Voting Rights Act with Luis Fuentes-Rohwer entitled The American Promise: Rethinking Voting Rights Law and Policy for a Divided America. Before teaching at Duke, Professor Charles taught at the University of Minnesota Law School from 2000-2009. He later served as interim co-dean at the University of Minnesota from 2006-2008. He has been a visiting professor at Georgetown, Virginia, and Columbia law schools. A past member of the National Research Commission on Elections and Voting and the Century Foundation Working Group on Election Reform, Professor Charles has served as the director of the Institute for Law & Politics, a Senior Fellow in Law and Politics at the Institute on Race and Poverty, and a Law School Faculty Affiliate at the Center for the Study of Political Psychology, University of Minnesota. In 2006, he was awarded the distinguished teaching award at the University of Minnesota Law School. In 2016, he was awarded the distinguished teaching award at Duke Law School.